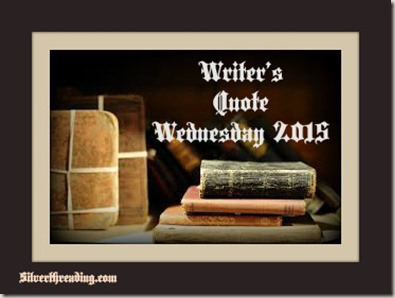 Having been missing for many months I discovered Writer’s Quote Wednesday had closed its doors. I was sad, I had enjoyed the quotes, and reflecting on how they had fitted into my life as a child and still do. I went looking for this quote having in mind its relevance for my purpose, the difficulty was, I had read it so many years ago; I knew it was from an old writer, a classical author,but had forgotten how old. It’s somewhat comforting to see how the act of writing has always had the same problems, we are not alone it appears. I mean 1586, that is over 400 years ago, poor Sydney was struggling with writers block back then. How often have we struggled so; we may not use a pen these days, at least not the kind Sydney would have used, but errant pen or keyboard notwithstanding, our muse sometimes has to hammer on the door of our blocked minds and hearts. We agonize on the perfect finish before we have even started. We allow fears, anxieties and doubts to riddle themselves into our beings. Our self critic begins declaiming in loud ringing tones, joined by grammar police and, in perfect harmony down in the tenors, procrastination joins in with mellow tones. We need to relax, sit back, put one’s feet up, sip a comforting drink. Let music and sunlight flit across our senses and allow that tricky muse in. We have to pick up that pen and write. Nonsense sometimes, unedited probably, badly spelt often, rambling maybe. The words roam across the page and the crack in that block grows wider and muse can pour in at last. We know from his writing that sir Philip Sydney allowed his in. This quote is part of Silver Threading’s author’s quote series. Authors who have helped inspire my writing. To write one must engage with the world around. Imagination is not the everything, imagination needs feeding with experience and observation Life is what feeds writers. This is a little like one of my favourite sayings from childhood – every cloud has a silver lining. The teaching me of hopeful endings and taking a longer view of disaster small and large. Silver linings and sunny side of doubt are part of my baggage. They were not taught by rote, nothing was insisted on, this was one of life’s lessons I learnt from growing up around positive people. I slowly learnt that folk around one, responded well to smiles but not to frowns. I also discovered that although the smiles might be’ put on’ at first, they did in fact help to cheer. That ‘pretend’ positive thoughts led to real positive thought. 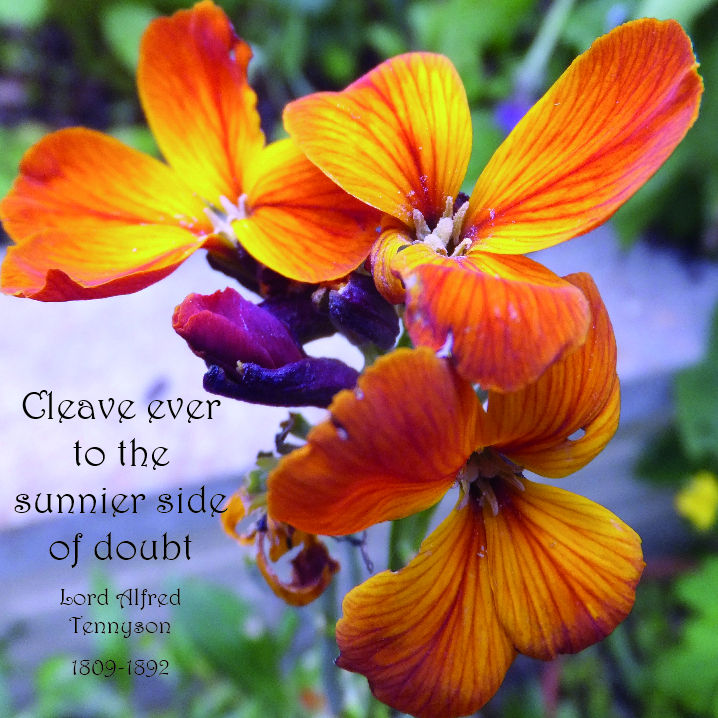 The sunny side of doubt has helped me remain optimistic throughout my years of travel, my studies and my writing. I wasn’t born sunny like my sister, I imbibed it cautiously because there was no other alternative offered when I was young, that side of my character was strengthened and the gloomy side diminished. This quote is part of Silver Threading’s author’s quote series. Authors who have helped inspire my writing. I have read for so many decades I have forgotten more than I can remember – which is a shame. My father had the same problem as he grew older and told me he was lucky because he could re-read books and come to their delights as if new. Me? there are too many new authors and books I want to cram in before I go:) When I re-read a book and I do frequently I find that knowing the plot allows me to concentrate on the detail more. Somerset Maugham was one of the popular writers of my youth and I think I probably read all his books – not so much his plays, cannot quite get to grips with plays:) Not knowing that much about his personal life I fell for the ‘romance‘ of his life. Serving in the Red Cross during the First World War, recruited as a ‘spy’ and serving in Switzerland and Russia (before the revolution there) traveling to places such as India and Asia (places I dreamed of going to), what wasn’t there for an impressionable young reader to like about the writer. He wrote a great deal about the end of colonialism (British) in many of the countries I was eventually to travel to. This was an era my parents and myself were living through. part of the background of our lives. My quote today resonated with me when I first read it. It applies as much today as back then.